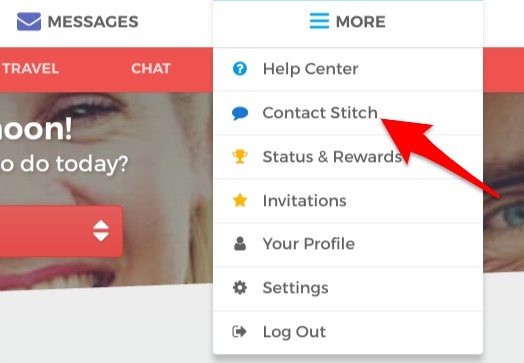 It will show you all your previous chat discussions with members of the Stitch team, as well as the New Conversation button to make it easy for you to ask a new question. Again, note that this will look a little bit different on some devices. 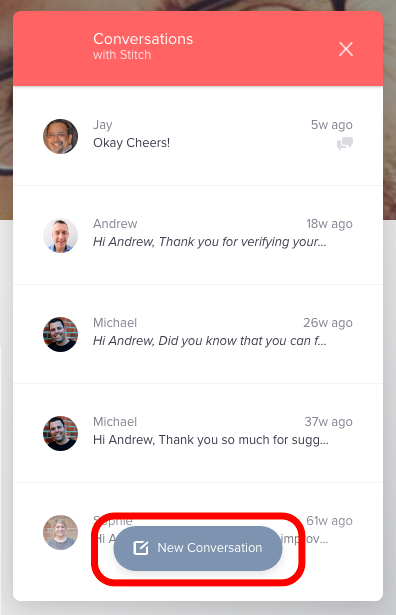 Once you've started a new conversation, someone from the Stitch team will get back to you as soon as we can. Please note that we're a small team and we don't outsource any customer support to other countries (in fact, some of our support is done by Stitch members!) so we can't always respond immediately, particularly on weekends. But we work tirelessly to help everyone we can, so we're confident that if you ask a question we'll be able to help you out! 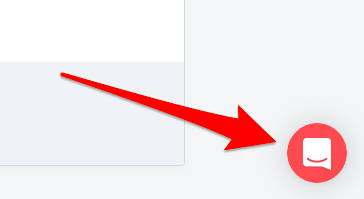 Finally, if you can't find this option then you can always email us at support@stitch.net. Our Stitch team is dedicated to helping all of our customers, and we will be happy to assist you in any way we can!